Elite Singles is one of the Best Dating Sites in Canada in terms of connecting singles taking into consideration emotional affinity. The portal is aimed at ambitious men and women who seek a long-term commitment. 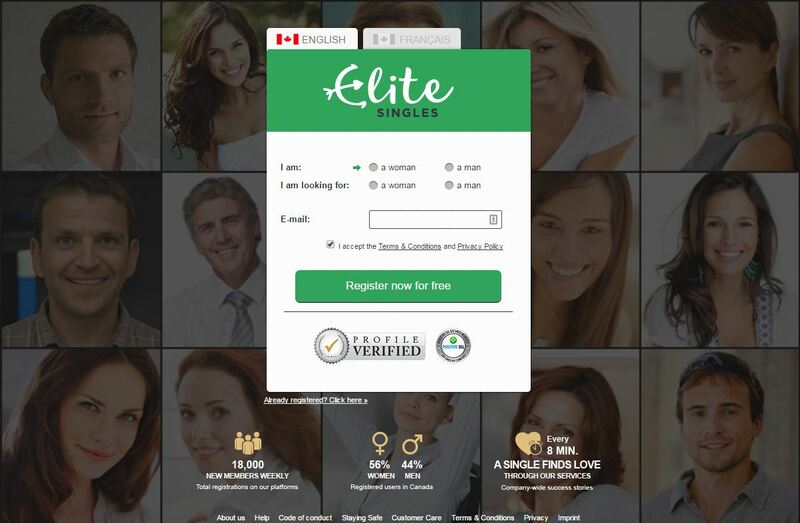 Currently, over 45,000 users join this exclusive community of singles every month with the goal to find a long-lasting relationship.In just a few years, Elite Singles has become one of the main dating players in Canada thanks to its unique matchmaking system, which offers connections based on the different personality types. Users need to take a compatibility test to join the matchmaker. Then, they are introduced to singles who share the same romantic interests, and who have a matching personality. If you are successful, ambitious, confident and single, Elite Singles then can help you find the perfect partner for you! The following Elite Singles review will provide you detailed information to help you decide if this is the best dating site for you! Elite Singles: How does it work? How to register for free in Elite Singles? Elite Singles in numbers: Fun facts! Elite Singles is made for professionals’ singles with high expectations from a potential date. If you already had great success in your career and the only thing missing is a partner, Elite Singles will use is matchmaking tool to find your perfect match for a long term commitment. The personality test is based on a renowned method and has contributed to the success of many love stories. 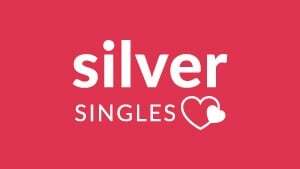 Joining the exclusive network of Elite Singles is easy, entertaining, and 100% free! Simply add your email address, and your password and select who you are (man or woman), and what you are looking for in the platform (men or women). Right after, you will have to solve an exhaustive questionnaire that evaluates different aspects of your personality as well as your romantic profile. Can a personality test introduce you to your perfect partner? Many dating experts agree that affinity is essential to make a serious relationship work. This is why Elite Singles’ team decided to use a matchmaking process that evaluates the personality type of every user and creates couples whose members are the perfect fit for each other! The questionnaire takes as a model the called “Big Five”, a theory that has been used for decades in the psychology area, and that defines the five dimensions of personality. The Elite Singles test takes into account demographic information, personal preferences as well as the personality type. 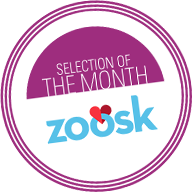 When the user completes the questionnaire, then the platform analyses the results, and proposes a list that contains partner recommendations. This means that users are mainly connected to those who are suitable to them. What kind of questions are you asked in Elite Singles test? In order to evaluate your romantic profile, the questionnaire explores your desired traits in an ideal partner, and assesses you in fields like how you socialize with other people, how you behave when you have to face situations that involve a potential partner. You will have to rate your behavior in such situations. The idea is to analyse those aspects that are decisive to make a long-term relationship work. Getting started with Elite Singles is very simple, you’ll have to fill out a questionnaire that includes details about your appearance, your education, your personality… Take your time and be honest, each time you answer something about your appearance, your beliefs, and so on, you’ll rate the importance of this criteria regarding your future partner. The personality test is long and complex, at each step of the process you can save you progress and log out. Directly after having completed your personality test, you’ll discover your matches. Matches are provided on a daily basis. Elite Singles removes inactive members automatically to ensure a smooth browsing experience for those active users. This is a sign that you can hardly find fake profiles or time-wasters. The brand Elite Singles covers different dating area. A few years ago, the classic site was launched. This version was aimed at Canadian professionals and academics whose goal was to find a life-time partner. It soon turned into one of the best dating sites where educated singles (women seeking men and vice versa) from all over Canada could meet like-minded people and had the chance of falling in love online. The success was so huge that a few other niche dating sites followed. Currently there is an Elite Singles site for almost any type of dater (gay dating sites, interracial dating, lesbian dating, single parent dating, and local dating: Singles in Toronto, Singles in Vancouver, Singles in Montreal, Singles in Calgary, Singles in Ottawa…). Those who want to find a partner who shares the same religious beliefs, can try their luck in Elite Singles Christian dating in Canada. In this website, 73% of users who have bought a Premium subscription believe that religion is an important topic. This is why sharing the same beliefs is key to creating couples in this website. There are hundreds of gay and lesbian dating sites out there, but most of them are mainly dedicated to singles who seek a casual adventure. Elite Singles has its own site aimed at gays and lesbians from all over the country who want to find long-lasting love. Elite Singles senior is one of the most popular niche dating sites in Canada. The platform has been designed for those mature singles who want to give love another chance, and want to get butterflies in their stomach as if they were falling in love for the first time. You can learn about yourself through your personality results based on 5 major dimensions. To attract attention, you can like the look of another member or comment directly on a profile if you share a hobby. If you’re a bit shy, you can send a smile or use the step-by-step tool, and get in touch by sending 5 suggested questions (icebreakers). Aren’t you a decisive person? Send photo requests and let other singles know that you’re interested in them. Elite Singles has an online magazine that is completely free, and that offers tips to find a match, how to make the most of your single life, and how to date in Canada. Protecting members is a priority for Elite Singles. Every profile is verified manually by their team of dating experts. In fact, they have an in-house fraud group of experts who monitor profiles. Those users who are inactive for a while are deleted. The idea is that you can get in touch with singles who really are interested in getting a date, and finding a long-term partner. One of the things that differentiates Elite Singles from other platforms is that users cannot copy or download any photos from the site. In that way you are ensured that your profile and gallery pictures are no redistributed or misused. All sensitive data is encrypted and is not shared with third parties or other members that belong to the platform. If you have any query about how the site works, want more information about the different subscription plans or want to report another user, you can get in touch the customer team during weekdays from 9 am to 6 pm. The help center can be contacted via phone, fax, mail or email. To make sure you get a response as soon as possible when contacting Elite Singles, make sure you include details such as your email address, your user ID and a screenshot if your query is technical. How to delete Elite Singles? If you want to permanently remove your profile from Elite Singles simply go to the “My Account” tab, and then click on “My Membership”. In there you will see the option to both cancel your subscription in case you are Premium, and to delete your profile. Once you do so, there is no step back! Your personal details and activity history will be erased. Before closing your account, you can share your experience with others. If you have found someone special, you can share your love story to others. Write a few words, and send a picture of you two to [email protected]. if you want to be featured in the web, and inspire other Canadian singles. If you don’t want to meet people randomly, Elite Singles provides the best matches for you. The personality test is very complete. Even that you have to spend quite some time solving the questionnaire, it is worth it thanks to the detailed report and the opportunities to meet like-minded singles from all over the country. Contrary to other similar dating sites, in Elite Singles you receive several matches on a daily basis, so if one day you think that the partners recommended to you, aren’t from your interest, you still have plenty of chances as you don’t stop receiving suggestions. What makes this platform one of the best dating sites in Canada is due to community of high level singles. Most users have at least a bachelor’s degree and look for a partner that has the same education and professional level. This is why it has become as one of the most trusted matchmakers in Canada amongst busy professionals and academics. So, if your idea is to connect with sophisticated singles anywhere in Canada and find someone special to initiate a serious relationship, then, as we suggest in this Elite Singles review, you can give this site a try. You won’t be disappointed!